Irvine, Calif., March 30, 2016 — UC Irvine is launching an official e-sports initiative this fall, the first of its kind at a public research university. A state-of-the-art arena equipped with high-end gaming PCs, a stage for League of Legends competitions and a live webcasting studio will be constructed at the Student Center, and as many as 10 academic scholarships will be offered to students on the team. The gaming center will also give non-team students a chance to participate in fun leisure activities on campus while balancing academic and research endeavors, he added. Most commonly, e-sports take the form of organized multiplayer video game competitions. Live-streaming of such matches draws millions of viewers worldwide. 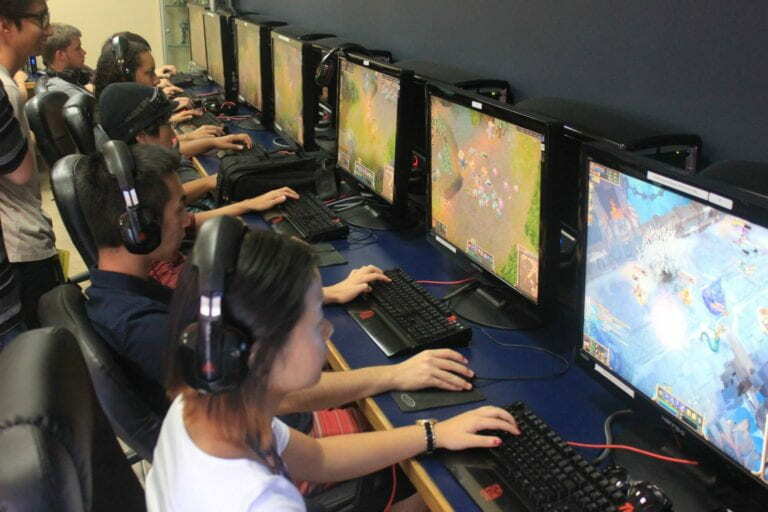 UCI is home to a dedicated gaming community. A recent survey of students found that 72 percent identify as gamers and 89 percent support the creation of an e-sports team. College Magazine ranked UCI the No. 1 school for gamers in 2015. The Association of Gamers boasts the highest membership of any student club on campus, and the computer game science major in the Donald Bren School of Information & Computer Sciences is the largest in the country. In addition, UCI’s Institute for Virtual Environments & Computer Games facilitates multidisciplinary research projects in the fields of anthropology, art, computer science, engineering, history, medicine, psychology, science and technology. Los Angeles-based Riot Games – the studio behind League of Legends – has pledged its support for the eSports initiative and will work with UCI to offer a premium League of Legends gaming experience. Custom gaming computer maker iBuyPower is equipping the 3,500-square-foot eSports arena with 80 of its high-end gaming PCs loaded with the most popular video game titles. Also available for classes and research projects, the Student Center space will be a major hub for social and competitive gaming in Southern California. 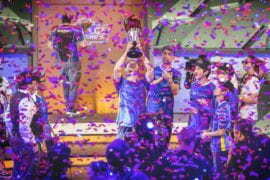 UCI’s League of Legends team will compete in next year’s collegiate tournaments.